The LEE Filters 100 x 100mm #3 Yellow Filter is a basic contrast filter, primarily for use with black and white film as a haze filter to subtly darken blue tones and increase overall contrast. It is also used to partially reduce excessive blue when making aerial photographs. 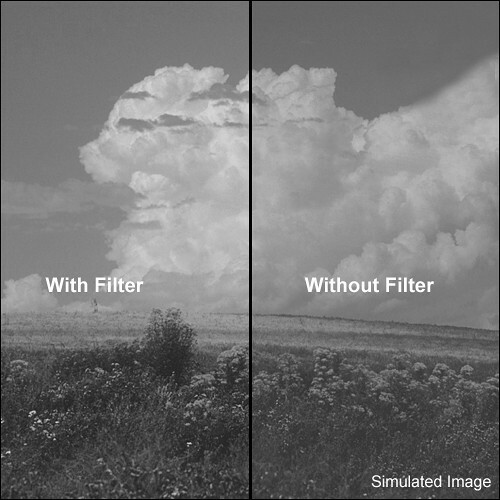 There is a 1x filter factor, requiring no adjustment to your exposure for normal results. This filter is constructed from optically correct resin, measures 3.9 x 3.9" / 100 x 100mm, and is compatible with the LEE 100mm filter holder. Light yellow contrast filter for black and white film subtly darkens skies and blue tones, reduces haze, and increases overall contrast. Partially compensates for excess blue in aerial photography. Constructed from optical resin for maintained image quality and clarity. Filter measures 3.9 x 3.9" / 100 x 100mm, is 2mm thick, and is compatible with the LEE 100mm filter holder. Box Dimensions (LxWxH) 6.1 x 5.5 x 0.8"